By integrating FeePay Meals with your existing software and POS systems, parents can also monitor purchases, view receipts, and receive notification of when the account balance is running low. With just a single login, parents can review and re-fund meal accounts for their children. 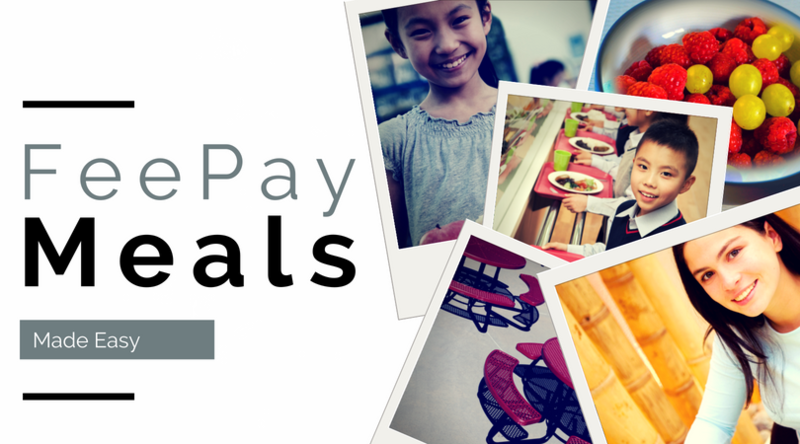 FeePay Meals Made Easy also features an incorporated price sensitivity functionality, which automatically calculates the correct, adjusted fee for students eligible for reduced-price and free lunches. FeePay integration also increases efficiency for administrators. Food service coordinators and operations managers have access to detailed reports covering everything from food inventory to student meal accounts. Manage price and portion relationships, create more accurate product orders, and avoid misplaced funds with a secure, quantitative payment record. A FeePay PCS Integration Agent will be running on a District Server hosted by Rochester Public Schools. Through this agent, FeePay will receive updated information about the student and account balance once a day from PCS. Any meal payment made in FeePay before 10AM - 11AM will be available to the student in PCS the same day. Payments made later in the day will be reflected in the student’s balance at the point of sale the following day. The 10AM cutoff is due to the transaction time required by PCS to process information between the central office and school sites. FeePay is capable of sending payment information whenever it is needed. End user set up is easy and intuitive. Information is pulled from PCS to auto populate FeePay with student data. FeePay provides Low Balance and AutoPay balance based triggers that can be managed by parents. FeePay administrators can create recurring payment schedules using time-based triggers for families that need or request a payment schedule. FeePay will also provide customized email notification for low balance, expired/outdated financial information, ACH returns, automatic payments, and other alerts. FeePay will also support reconciliation for insufficient funds associated with ACH payments. FeePay archives students’ purchase history for whatever period of time specified by the school district. Your district may include any number of forms – from state high school league forms to field trip permissions and emergency contacts – and parents can fill them out and sign them through a single online portal. FeePay also enables parents to make online payments for their children’s activities including equipment fees, team jerseys, and organization dues. You can even set FeePay for Activities so payments cannot be made until all required forms are completed, such as a current physical examination form if one is required for participation in the chosen activity. You can also put holds on accounts for missing equipment or behavior incidents. FeePay for Activities can integrate with your district’s student information system, so you can easily track the date of a student’s physical exam, manage fee payments, run team rosters, and upload them to state high school league sites, greatly reducing staff workloads and stress. FeePay will even recognize and tie activities and fees to the proper account codes, ensuring accurate records and complete registrations. FeePay Fees is a single system that encompasses all revenue- and registration-related functions, giving districts the ability to easily organize current assets and add functionality as programs grow. Every district has a unique variety of programs, clubs, and events – all of which usually have corresponding fees. FeePay Fees streamlines the process of paying, receiving, and tracking these transactions. We have implemented the highest industry-standard security to ensure data privacy and safe transactions. Families can make payments with a credit card or an electronic transfer from a bank account. Ultimately, the actual process of making payments is simple. FeePay Fees is convenient, easy to navigate, and secure for families and administrators.